Is Chilliwack Motorcycle Racing Phenom Jake Hayes, Still Racing? 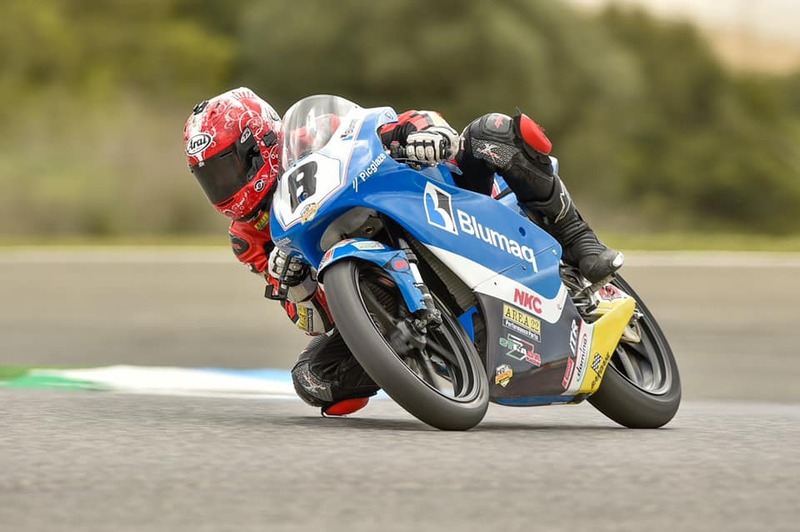 Chiliwack/Spain – Over the past nine years or so, a young Jake Hayes could be seen revving up a motorcycle and zooming around the track at the Greg Moore Raceway off Dyke Road. Winning became common place for Jake, to the point where he was competing against older racers , as he was so superior to his own age class. Then came a huge career break. No matter what you race, the costs are through the roof. FYI: Jake started racing at 8 years old. When he turned 10 the Canadian Motorcycle Association changed the rules to let him race against adults. He will be 17 on April 20th Because of being in Europe as well living in China too, he came back knowing it would be tough to go to “traditional” school so he is doing Fraser Valley Distance Ed, School on line! His maturity level now is so far past his peers. I was asked again today So is Jake still racing? Then these pictures came up in my memories when I got home so let me fill you in for those who watched Jake grow up on the track! What is going on and what transpired. I seriously could write a book on the path to and from the tracks in Europe. 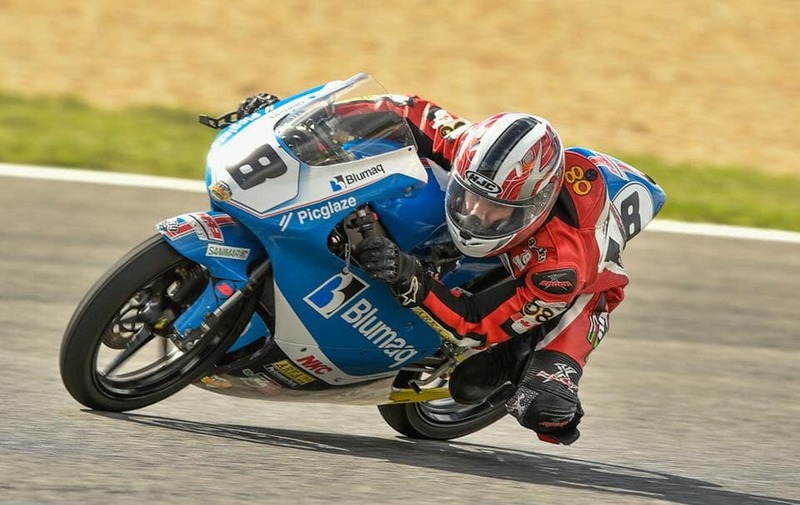 Jake went over to Spain and was blessed to have almost full sponsorship from those who believed he had what it took to be the first North American kid to race at the highest level in the world. We thought long and hard should we perhaps go with a lesser series? Maybe a cup series with 10-20 bikes not 40-50 where you have to qualify top 40 to even race! It would be easy to brag that your top 10 when there are only 10 bikes in a race, but nope Jake said “Dad if I am going there I want to race the best, I want to race the best kids in the world! 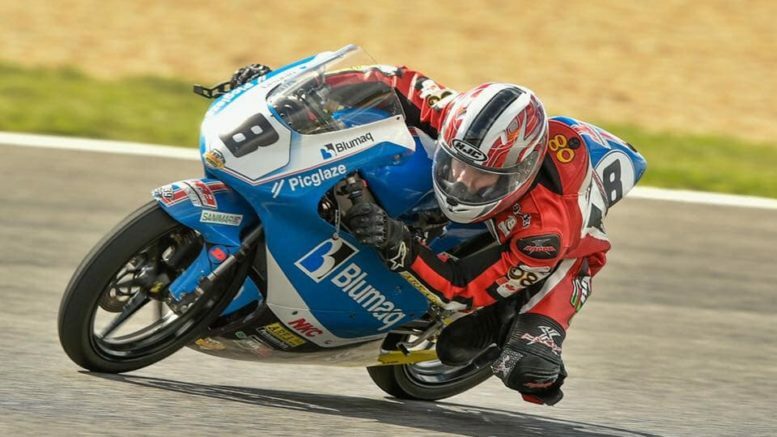 i want to race the European Talent Cup, I want to see how I can do!” So he did, he left Canada and he had never been on a big track in his life, can you imagine showing up to a GP track with 50 other riders most, almost 95% had ridden the tracks before! He had only ridden on a small kart track. He had never ridden a GP bike before, almost all the other teens have been riding these type of bikes since they were 8 years old. Talk about a challenge. Jake had very little practice time because it costs a lot of money and if you add the cost of each race which is about $20,000 cdn and add practice time the costs can easily exceed $25,000 to $30,000 a month if you crash and have to replace parts, he was afraid of that because he knew we were not multi millionaires. we still have a financial commitment to deal with to this day. So his first race was in Portugal and he was there all alone, he got out on the track with the best riders in the world again on a track where most riders have ridden, he was overwhelmed for sure but managed to qualify, amazing!!!!!!. On a huge track there was only 4 seconds separating top 5 from bottom 5. There he was in the top 40! The second race was in Spain again his team could not believe he has never ridden on the track in Valencia, he said “no the first track I have ever been on was in Portugal!” Guys could not believe it. In Valencia he ran a 1:47 and the top riders were at 1:44 3 seconds on a huge track does not sound like a lot but he did not qualify, 6 other riders out of the 50 did not either! So close but so far! However when he was told he said “I’m ok Dad I did my best” so that was it! The time away, the cost, the reality of competition was enough to say I’m done, I’ve done my best but I see I will never be top 10 so let’s go home!” I was so proud of him, he knew it and he did not want to waste my time, his teams time and most of his team owners time…and was happy with what he did. His team owner told us there will never be a North American ever in MotoGP and I believe that today, but Jake was an incredible talent, he had not seen North American talent like him for a long while, but without staying, living there and practicing every day it would be a tough go. So when we got back Jake said “Dad I’m good if I never race again” I said ok buddy I support you! He said how can I get on a bike and race here when I did that! I said maybe one day buddy! So have a look below and see how close and how well he did against the best in the world. So proud of what he did! So just recently we had an offer, a nice offer for Jake to ride again, not MotoGP but locally, I asked him if he wants to get back on a bike and he said “ya Dad let’s do it!” So we will be racing at Mission this year! I’ll keep you all posted and we hope you can come out and watch! 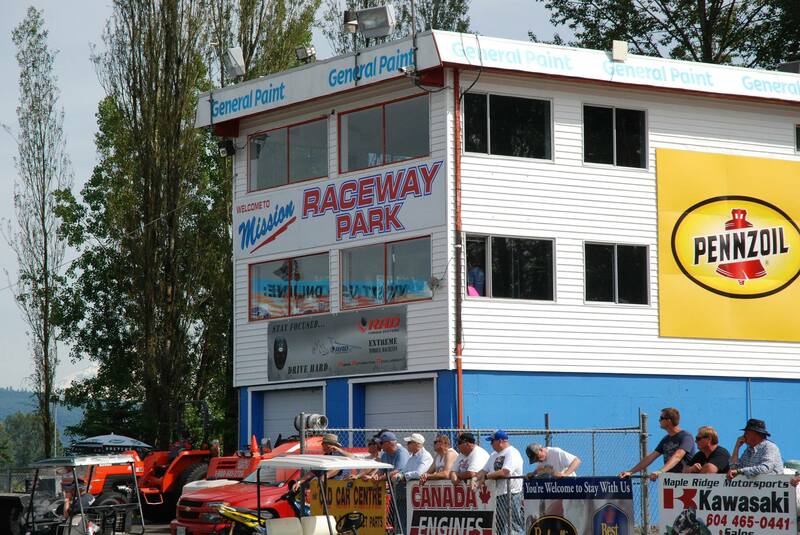 Be the first to comment on "Is Chilliwack Motorcycle Racing Phenom Jake Hayes, Still Racing?"